Are We Using the Wrong Metric to Measure Bitcoin’s Energy Consumption? Dr. Katrina Kelly, a researcher in clean energy technology, recently published an article on The Conversation questioning the overwhelming concern around Bitcoin’s growing energy use. While Kelly agreed that Bitcoin consumes a lot of energy, she noted that it is possible to increase electricity production while ensuring that there is minimal impact on the environment. Kelly argued that the debate around cryptocurrencies should therefore focus on who’s producing the energy and where that energy source comes from, instead of purely measuring its energy consumption. According to the Bitcoin Energy Consumption Index, as of Aug 23, Bitcoin uses as much electricity as Austria. Its current estimated electricity consumption sits at approximately 73.12 terawatts per year. To put things into perspective, the sheer amount of energy generated from Bitcoin mining can power over six million US households. While the cryptocurrency industry is experiencing a bearish market, the Bitcoin mining energy consumption rate has been increasing quickly from 2017 to 2018. Therefore, there’s no denying that Bitcoin consumes a lot of energy, which can ultimately result in a large number of carbon emissions released into the atmosphere. 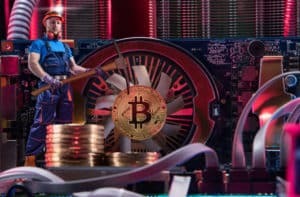 While the causal relationship between Bitcoin mining and an increase in carbon emission may be true in the earlier days of the cryptocurrency mining industry, where miners would mine in China and coal would supply 60 percent of the country’s electricity, Bitcoin mining has changed significantly over the past decade. A predominantly fossil-fuel-based electricity source may have fueled Bitcoin mining, however, this is changing. Bitcoin mining is now emerging in areas where there is cheap renewable power. A great example is the Pacific Northwest, a region where energy is cheap because of the sheer amount of hydropower available. Furthermore, there are areas in Europe, like Iceland, where Bitcoin mining runs on renewable energy. Iceland is a country that is heavily reliant on 100 percent renewable energy, so the use of geothermal and hydropower energy for cryptocurrency mining enables miners to make a profit without contributing a significant amount to carbon emissions. Since Bitcoin mining may not necessarily contribute to increased carbon emissions, Kelly noted that Bitcoin, therefore, may not necessarily be the “bad guy.” The cryptocurrency mining industry is instead one that is misunderstood because it is a new and emerging industry. Kelly argued that to discuss Bitcoin by analyzing its energy consumption is unfair and fairly shortsighted. Instead of using energy consumption as a metric, people should consider the “carbon production of Bitcoin” and assess whether cryptocurrency mining towns or farms are releasing a lot of carbon emissions and acting as an environmental burden. While many articles discuss the rising level of Bitcoin’s energy consumption, there are not so many that look at Bitcoin mining’s carbon footprint. Perhaps, it’s the perfect time to integrate renewable technologies into the Bitcoin mining discussion. Instead of criticizing Bitcoin for its energy-intensive practices, Kelly believes that it’s time to shift the conversation and criticize countries and states for allowing emerging industries to use dirty power supplies. Are We Using the Wrong Metric to Measure Bitcoin’s Energy Consumption? was originally found on [blokt] – Blockchain, Bitcoin & Cryptocurrency News.